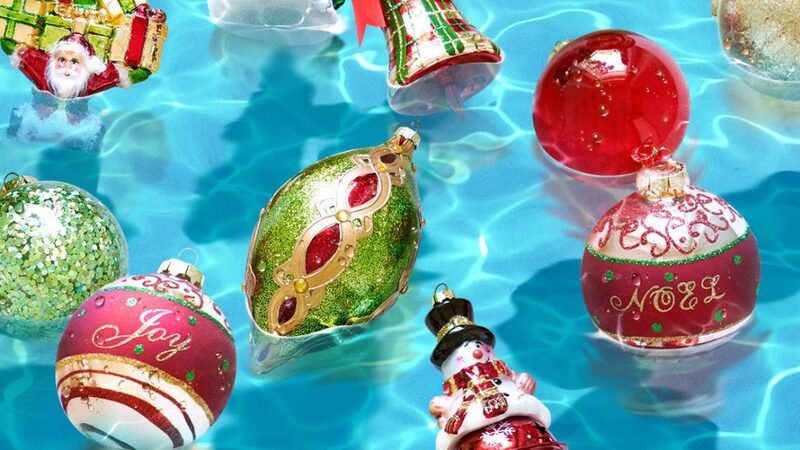 Your guide in creating the most spectacular holiday displays with Balsam Hill artificial Christmas trees, wreaths, garlands, and home décor products. 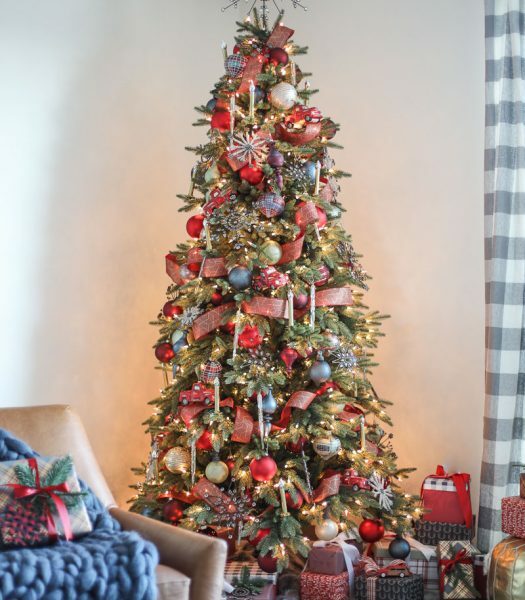 Be inspired to make Christmas magic in your home for picture-perfect moments with your family and loved ones with these holiday decorating ideas. 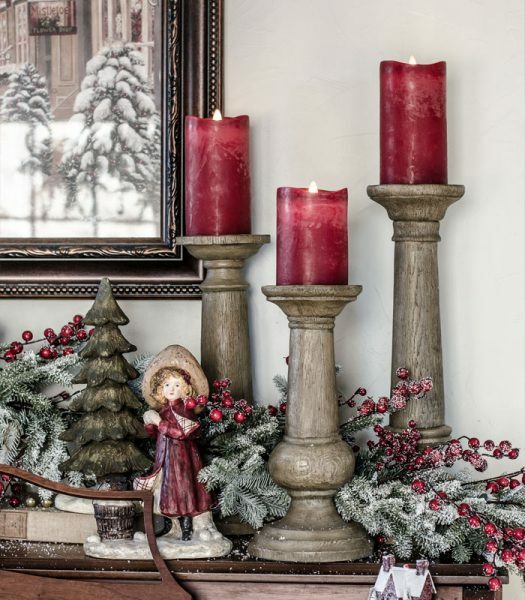 Inspired by the enduring beauty of the Biltmore Estate in North Carolina, Balsam Hill’s latest line of Christmas décor lets you deck the halls in timeless elegance. Watch the video to learn how Biltmore’s vision was translated into holiday décor you can enjoy in your home. The Vanderbilt home was first opened to guests on Christmas Eve of 1895. Today, Biltmore continues the family’s tradition of gracious hospitality and passion for Christmas. 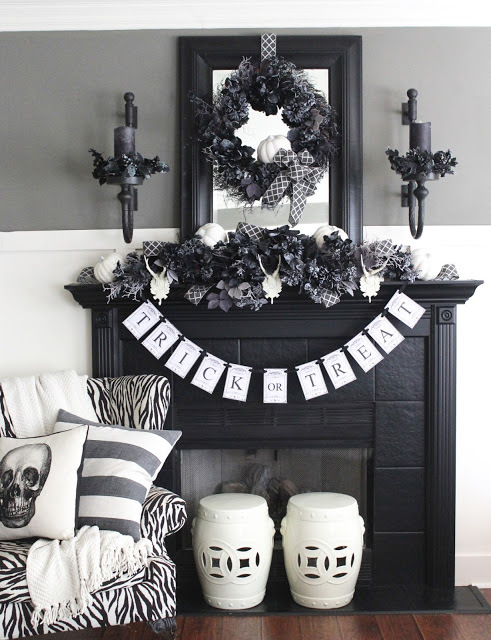 Every room in the house is lavishly decorated as the season approaches each year. 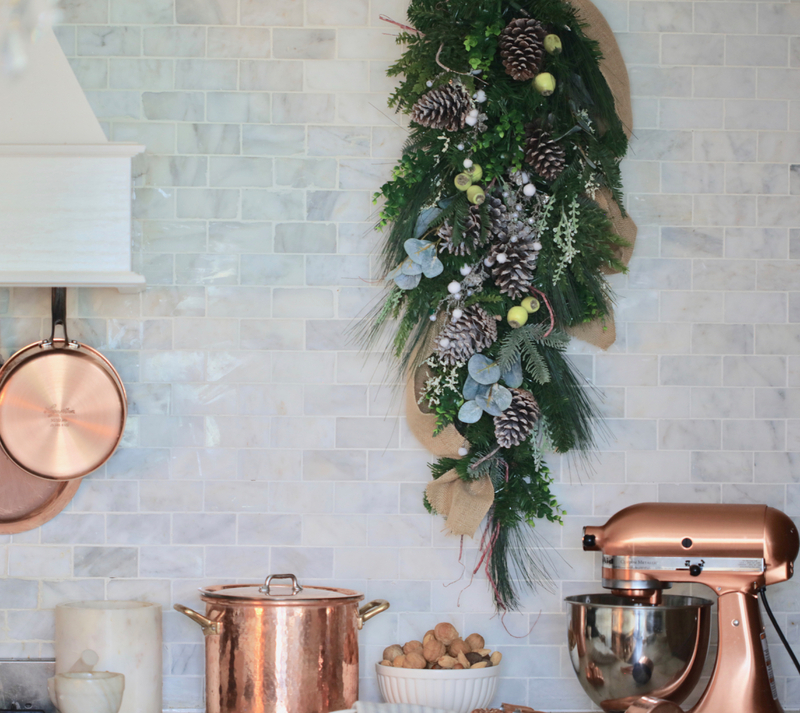 Take inspiration from some of our favorite decorating experts and style influencers as you spruce up your home throughout the year. 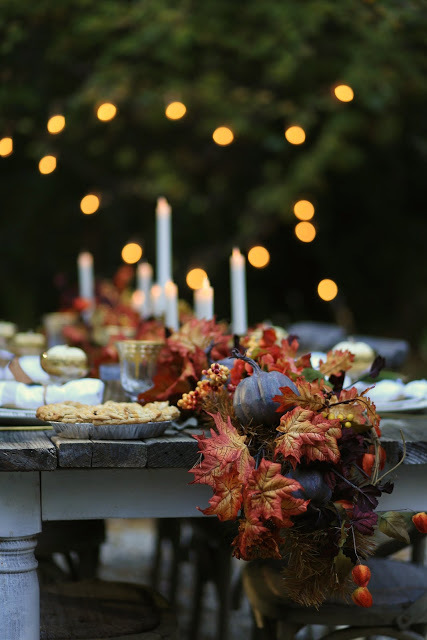 As seasons change from spring to summer, fall, and winter, get creative ideas on how to create stylish and elegant spaces. Click on the images to view in full size. Spring is in the air! 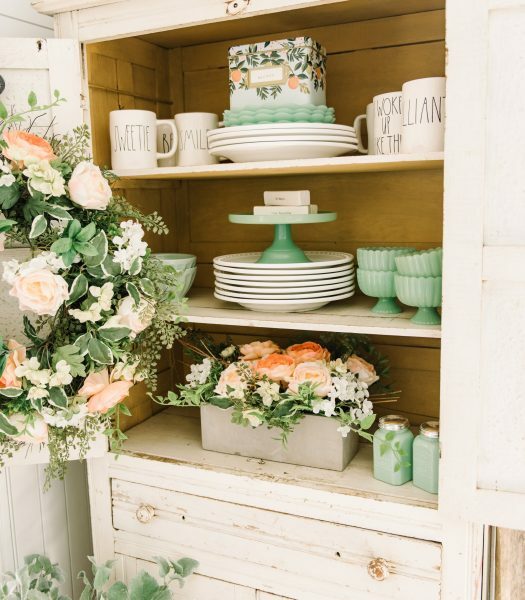 Take your cue from Liz of Liz Marie Blog as she adds a touch of seasonal charm to her open shelving with the English Garden Rose Arrangement. 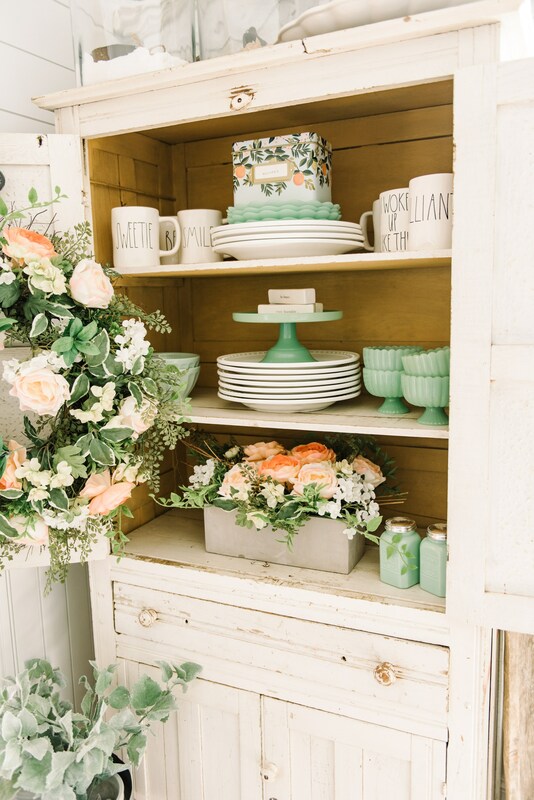 Nothing says spring like a profusion of colorful blooms. 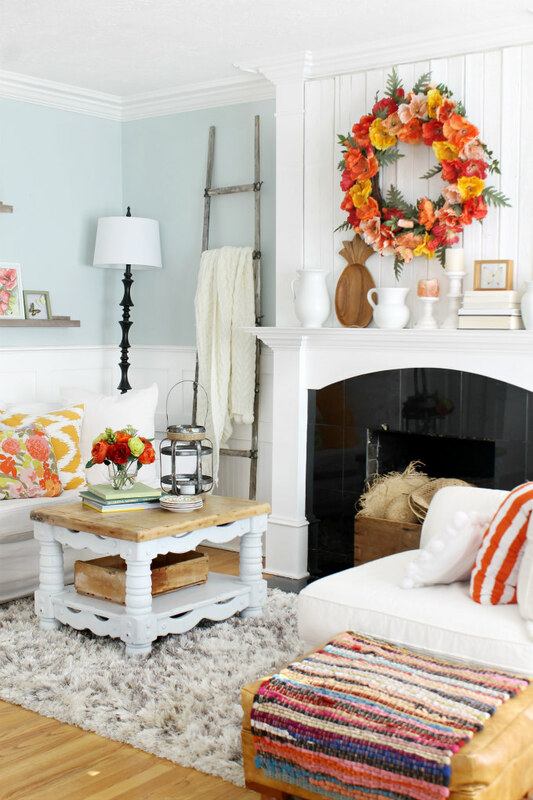 Emily of The Wicker House livens up her living room with the vivid hues of the Spring Poppy Wreath. 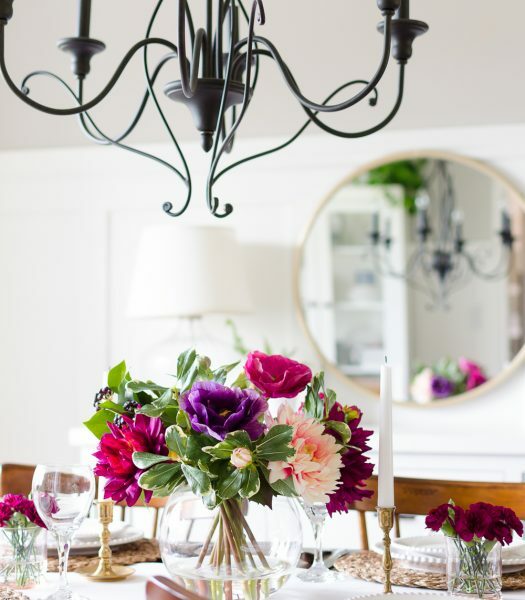 The blushing pinks and deep purples of our Dahlia Arrangement lend eye-catching elegance to Alicia’s dining table, as she shares on A Burst of Beautiful. 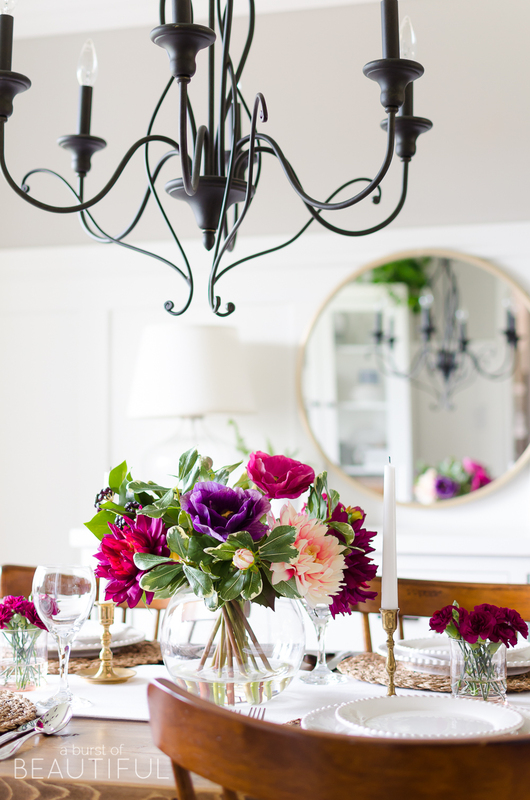 Pro Tip: A colorful arrangement pops more when set against a neutral background. Vibrant color adds to the warm welcome you give your guests, much like in this beautiful entryway by Kim of Sand and Sisal. 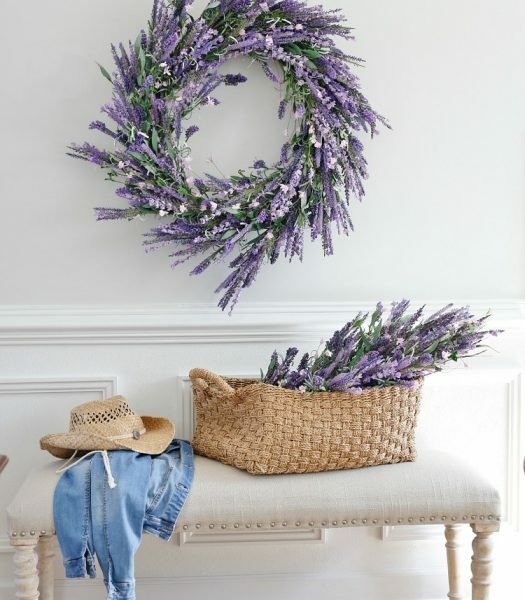 Pro Tip: Artfully arranging the Provencal Lavender foliage in different areas helps create a balanced springtime look. 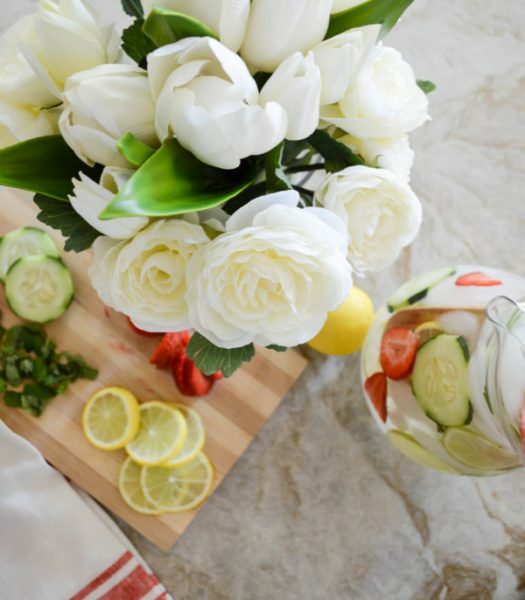 Create an elegant focal point for your tablescapes by adding this Tulip and Ranunculus Arrangement. Kristin of My Uncommon Slice of Suburbia completes the look with accents like colorful fruits for some contrast. 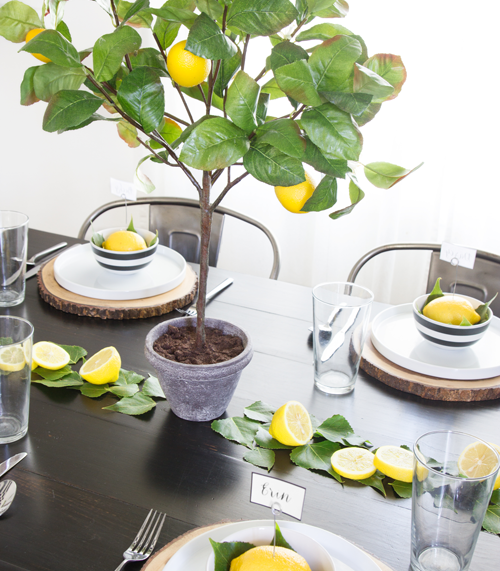 Think out of the box when it comes to decorating your favorite spaces for the summer months. 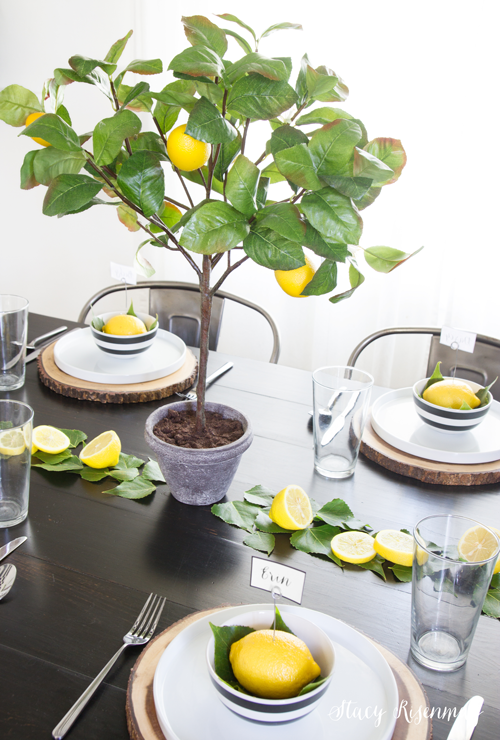 Stacy of Not Just a Housewife combines real lemons with our Small Meyer Lemon Tree for a table setting that’s both fun and inviting. 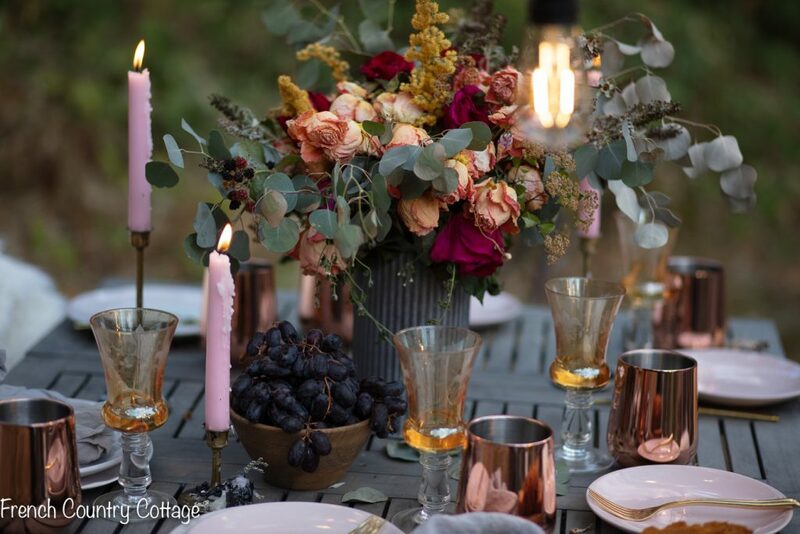 Usher in autumn by decorate your outdoor patio according to the colors of the season like Bre of Rooms for Rent did by using these Autumn Medley Taper Holders as tabletop accents. Pro Tip: Decorate pumpkins with a mix of orange and yellow blooms for a seasonal flair. 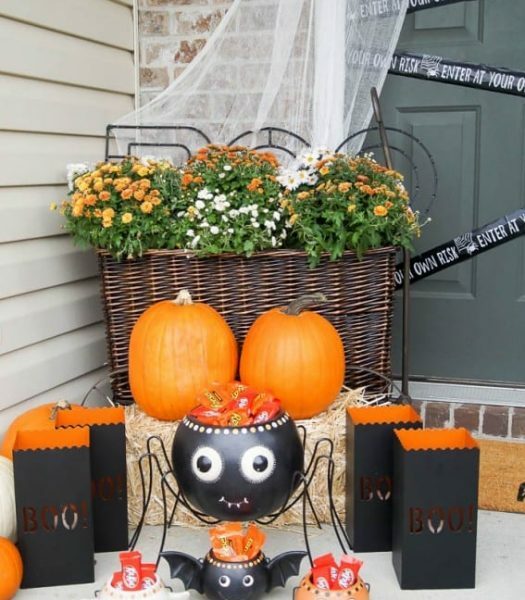 Create a Halloween porch set-up with whimsical details as seen in Ashley’s blog, Simply Designing. 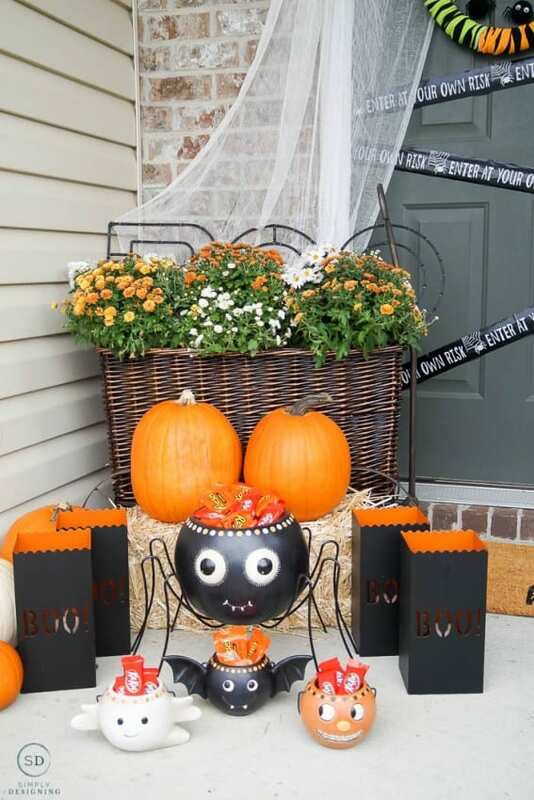 Arrange Halloween Luminaries around Vintage Halloween Candy Bowls filled with sweets for your little trick-or-treaters. 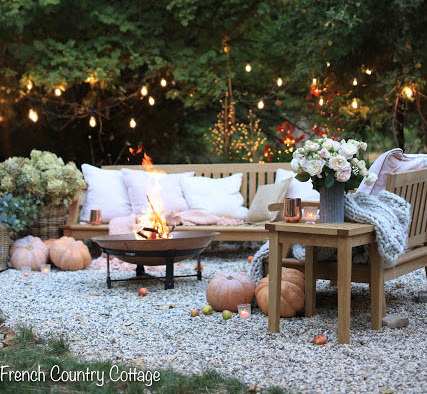 Come up with a hauntingly elegant Halloween set-up similar to Sarah’s of The Yellow Cape Cod. Pro Tip: Go for monochromatic colors, like black, to keep it tasteful. 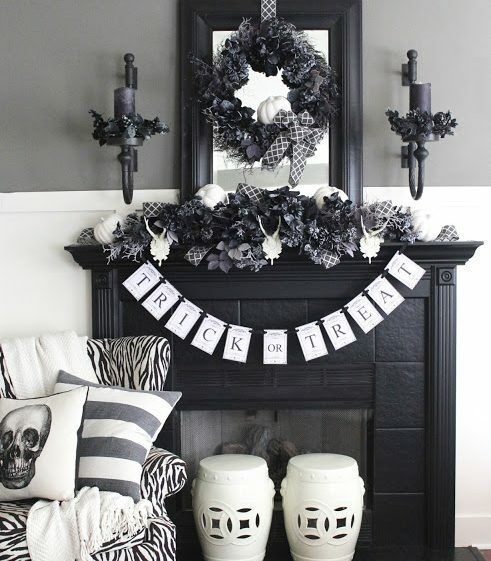 Place our Halloween Night Wreath foliage on the mantel and flank the wreath with black candles. 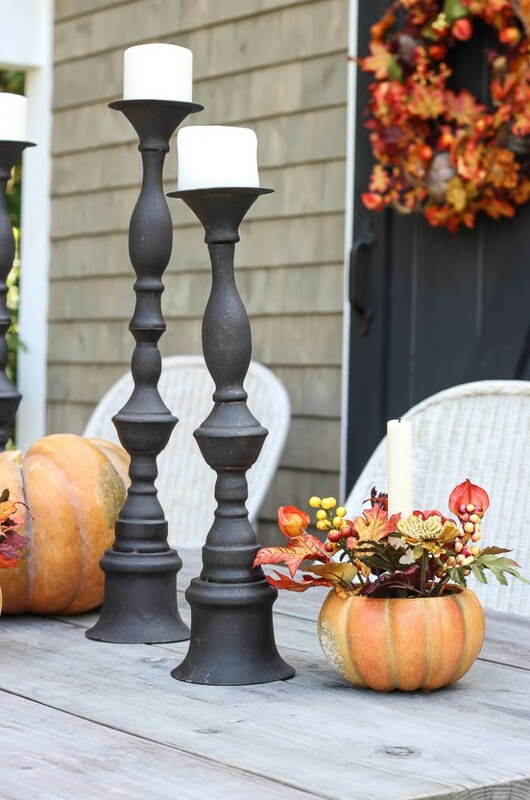 Add a vintage appeal to your Thanksgiving table setting with wrought-iron entertaining pieces in a classic motif. 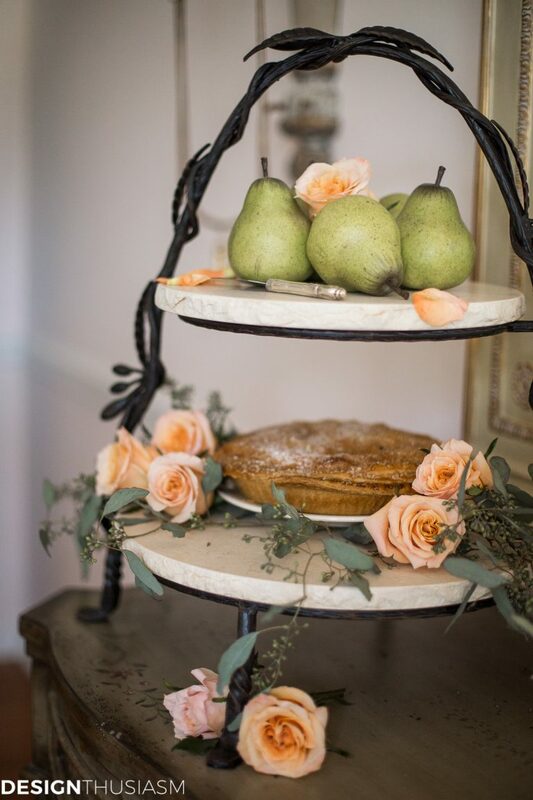 Lory of Designthusiasm uses our Tuscan 2-Tier Stand to display pies and pastries. 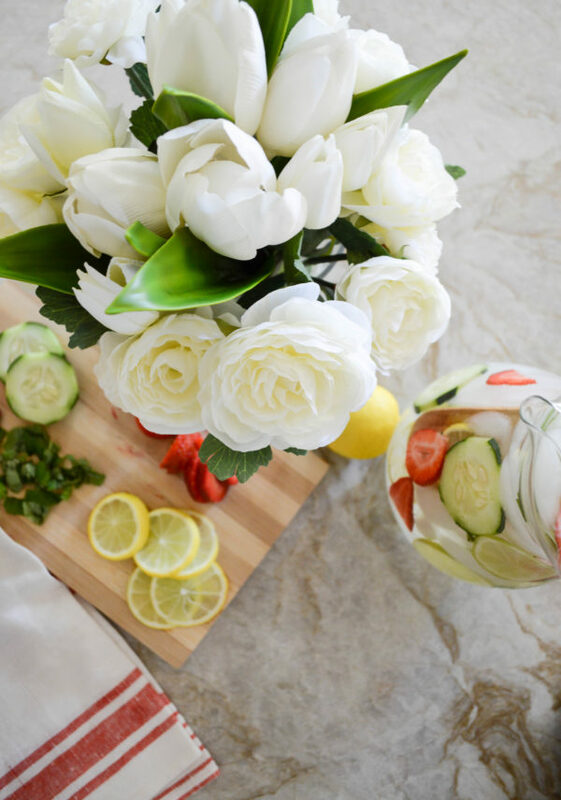 Pro Tip: Use fruit and flowers for color and texture. 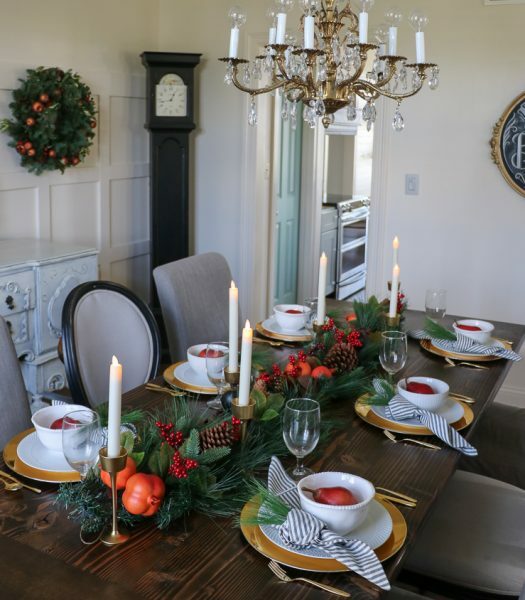 Make your loved ones feel extra special by preparing a home-cooked meal to complement a beautifully set table, like Sara of Sincerely, Sara D. She chose to lay out a Charlestown Decorated Garland with festive autumnal accents as her centerpiece. 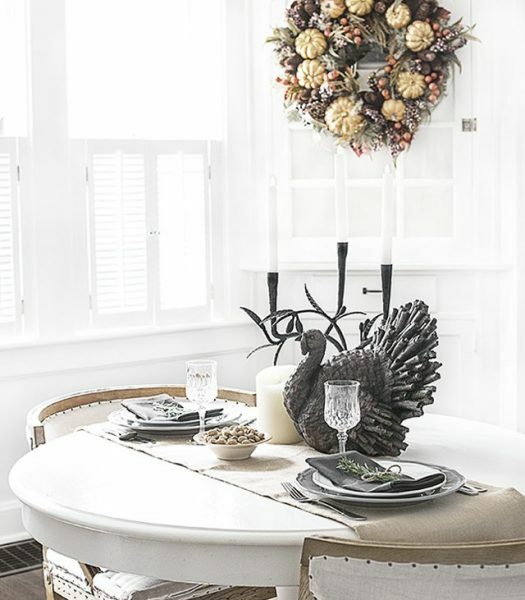 Choose a unique centerpiece as the focal point of your table as seen in Kelly’s Thanksgiving arrangement. 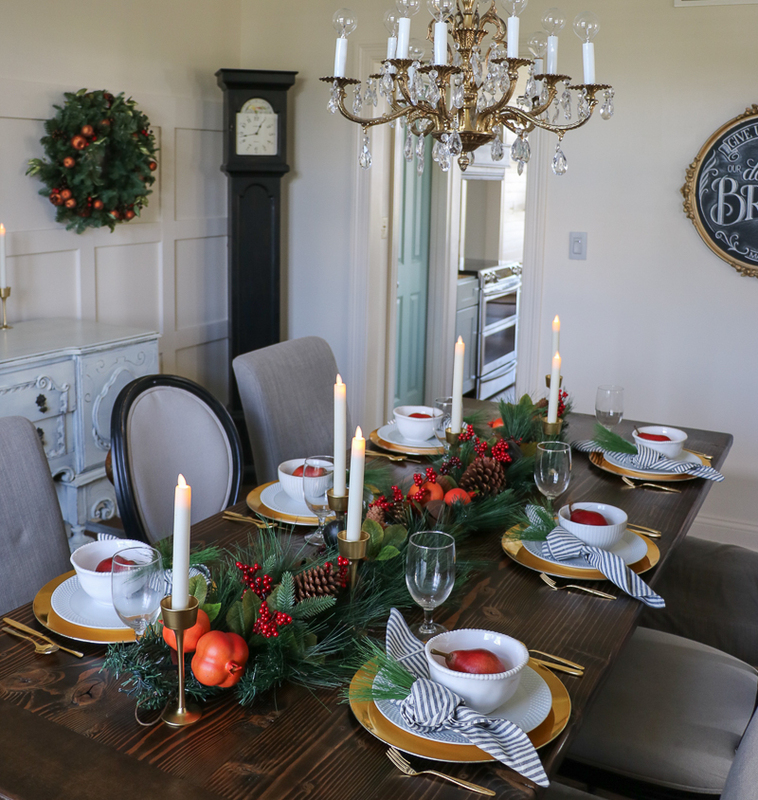 In her blog Live Laugh Rowe, she places our Tabletop Turkey, and Tuscan Candelabra with taper candles to accompany her elegant table setting. 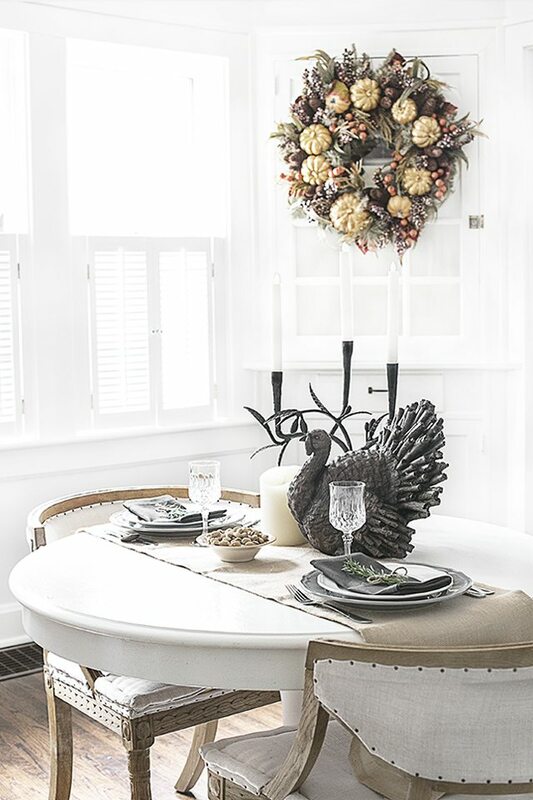 Pro Tip: Hanging a colorful wreath in the dining room provides a rich contrast to a neutral background. 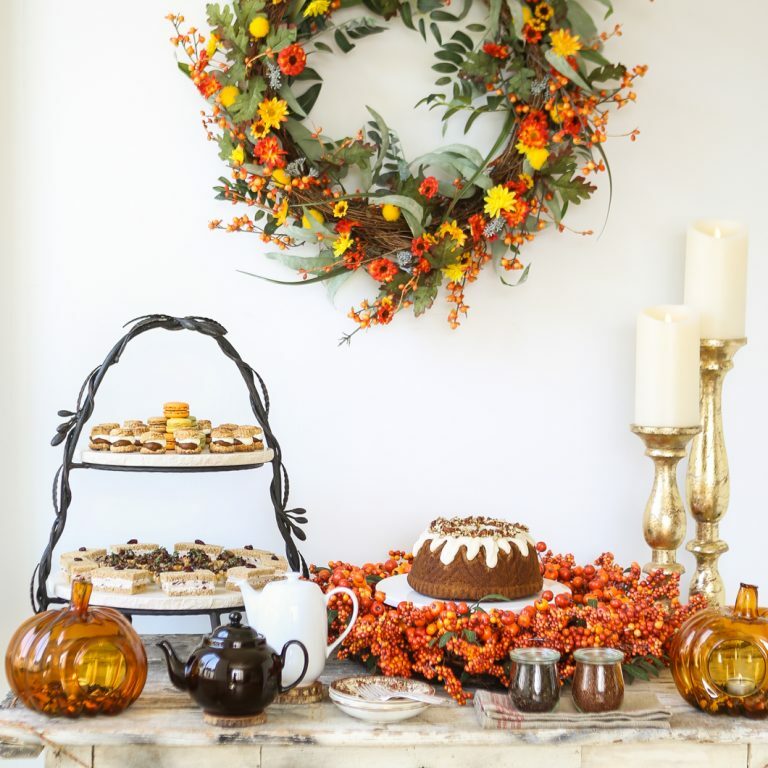 Host a Thanksgiving tea party like Bonnie of Thirsty for Tea and decorate with seasonal colors. 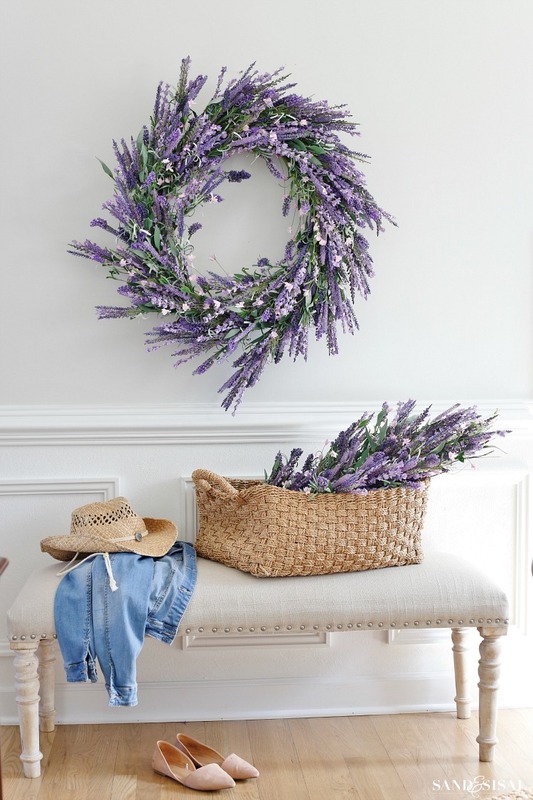 Hang a Wildflower Prairie Foliage to brighten a neutral wall. 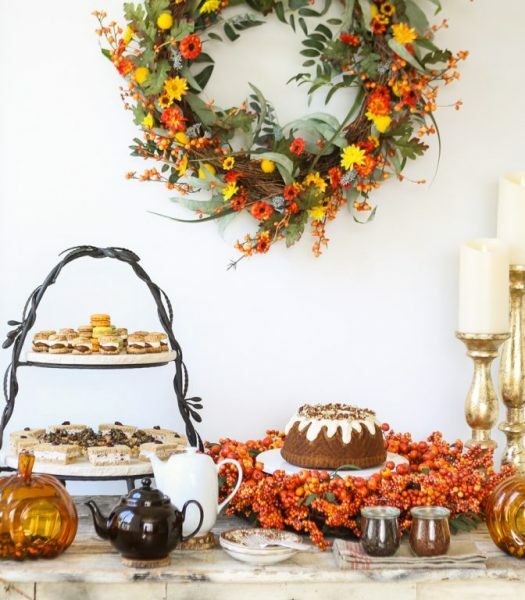 Arrange your table using a mix of golden and orange hues, as seen with our Fall Berry Wreath (used as a cake stand base) and candle holders. 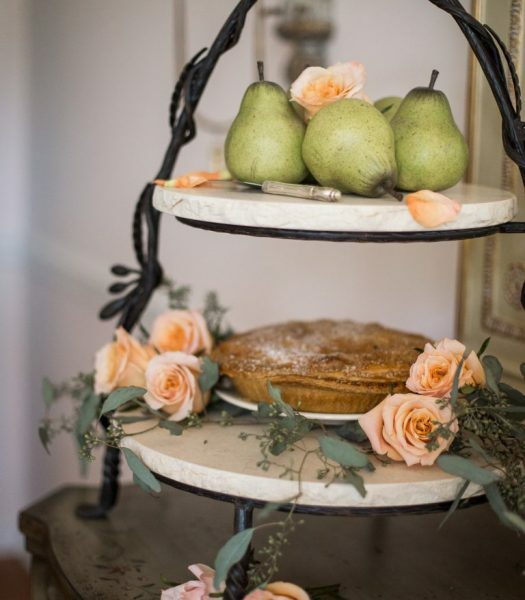 Decorate your rustic Thanksgiving table like Courtney of French Country Cottage with an interesting centerpiece. 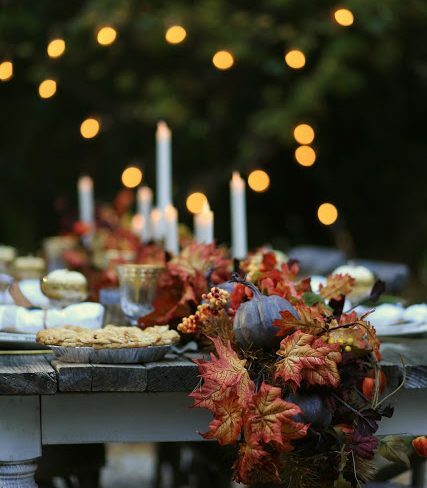 Place a seasonal décor like our Autumn Medley Garland along the length of the table and taper candles at the center. 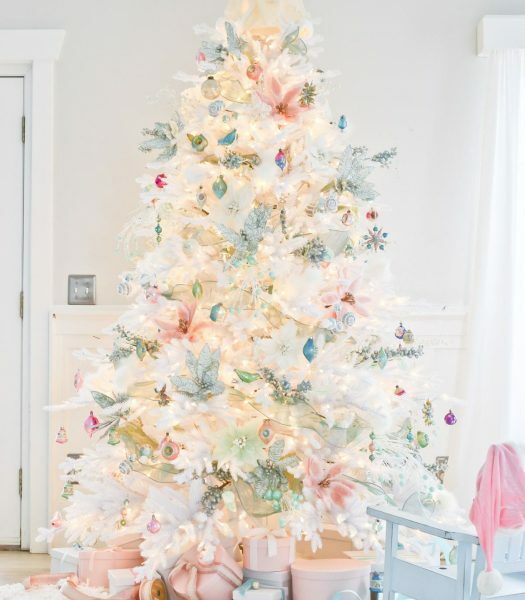 Channel a dreamy holiday vibe with pastel hues like this winter-inspired tree decorated by Cami of Tidbits. 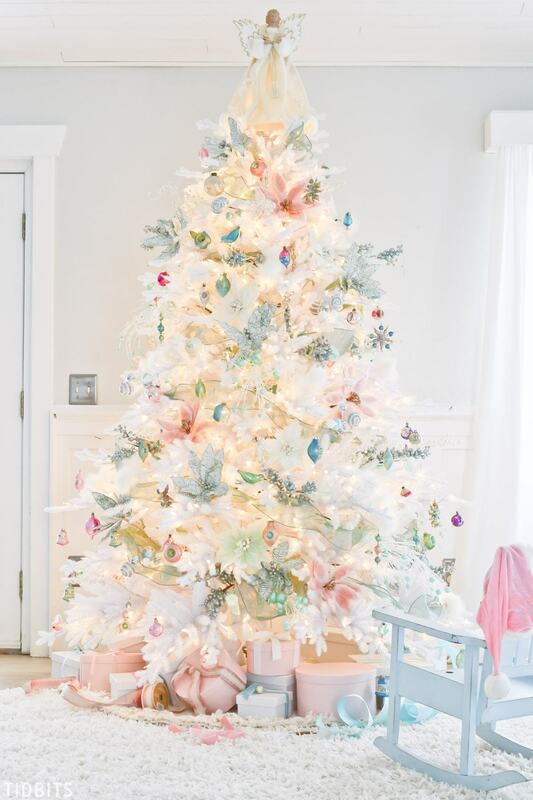 Adorn a Denali White Tree with Vintage Pastel Mini Ornaments, accentuated by glittery picks. Spruce up your home with traditional reds and greens like Jamie of Anderson + Grant’s use of red Miracle Flame LED Wax Christmas Candles and Berry Frosted Fraser Fir Garland. Pro Tip: When using the same shades of color, mix and match pieces with different textures and shapes. 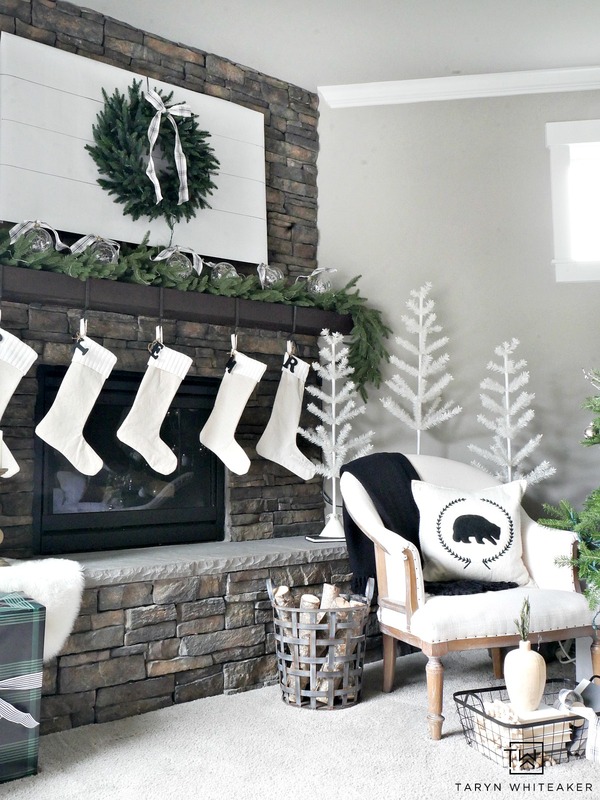 Decorate your fireplace with simple, classic touches like this arrangement by Amy of The Idea Room. 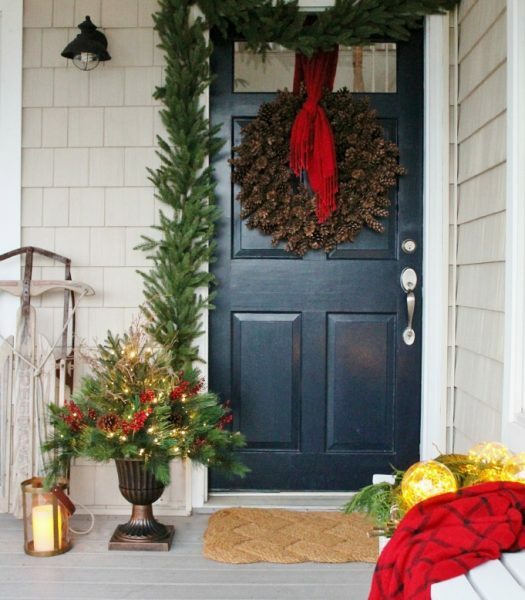 Hang a Red Spruce Woodland Charm Wreath above. 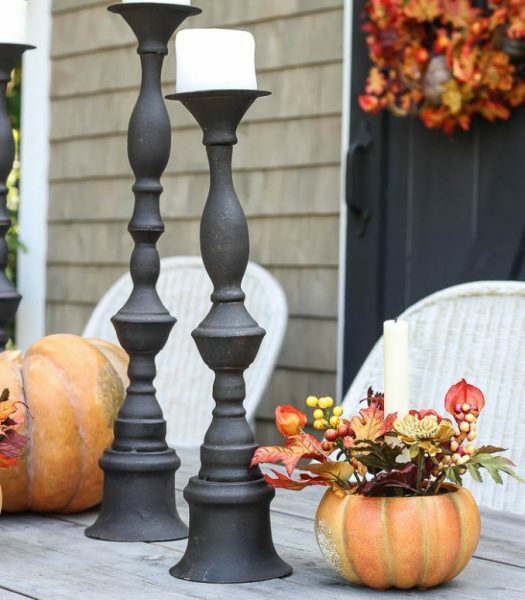 On the mantel, place tall candleholders and candles in different sizes. 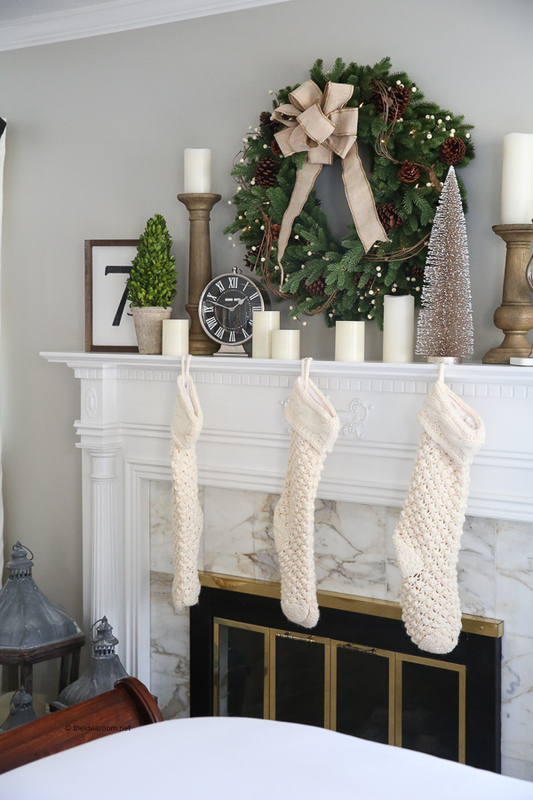 Add knit stockings for a warm and homey feel. 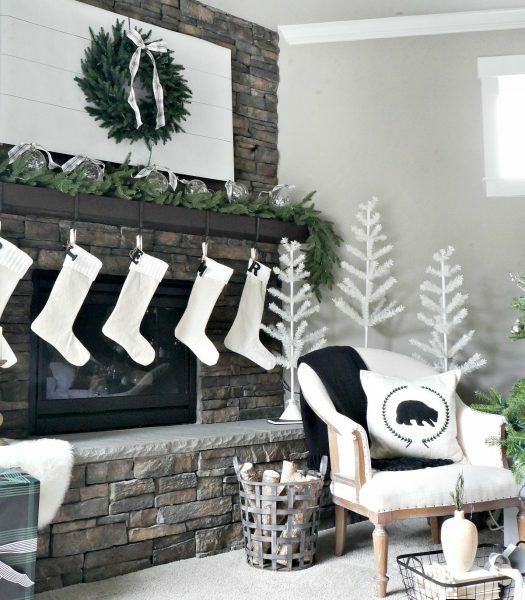 Set the stage for festivities with a clean, vintage-modern design like Taryn of Taryn Whiteaker’s simple Ivory Feather Christmas Tree beside a fireplace. Add traditional foliage along with Christmas lights and matching white accents for a classic feel. 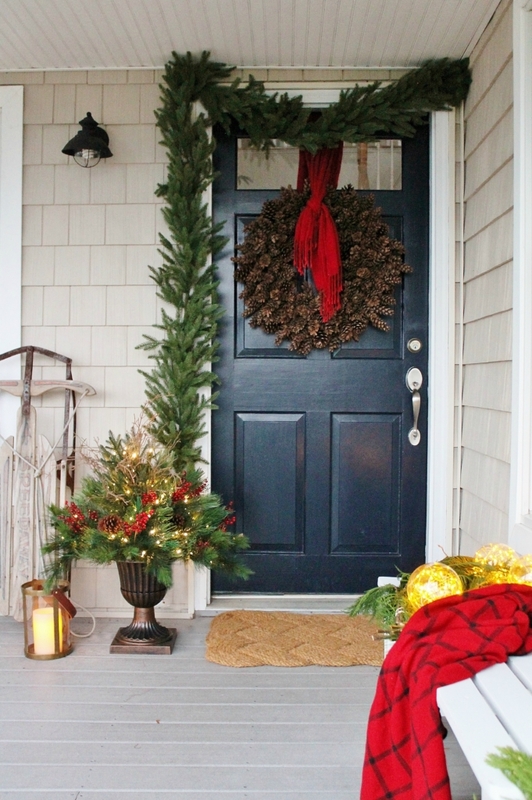 Let the festive holiday atmosphere be felt outdoors with the use of traditional foliage and lights, as seen in Jen of City Farmhouse’s entryway. She decorated her door with Stratford Spruce Garland along her doorway and placed Aurora Pine Foliage with Urn Planter beside the doorstep. 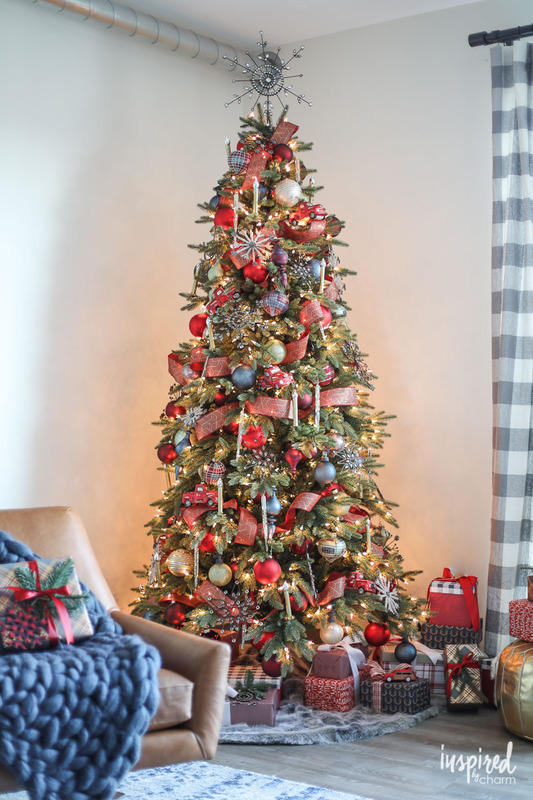 Get into the holiday spirit by decorating your tree with a mix of traditional and whimsical décor, as seen in this Rustic Modern Christmas Tree by Michael of Inspired by Charm. 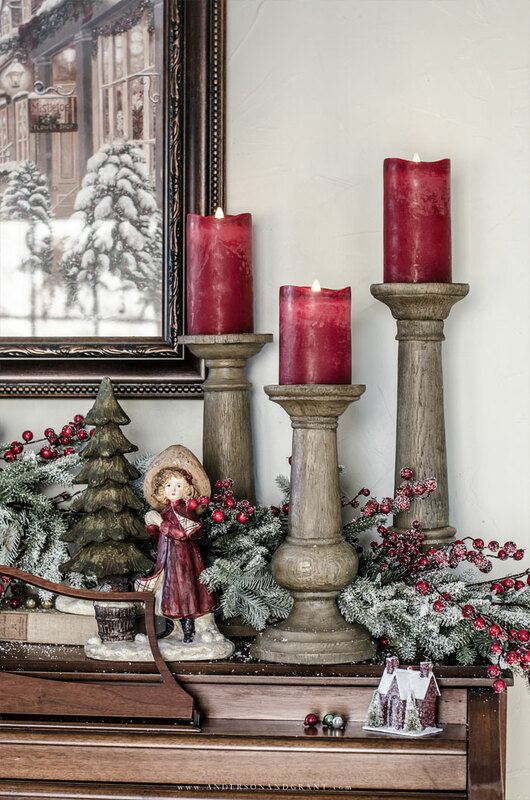 Adorn a Stratford Spruce with Antiqued Snowflake and Farmhouse Christmas ornaments. 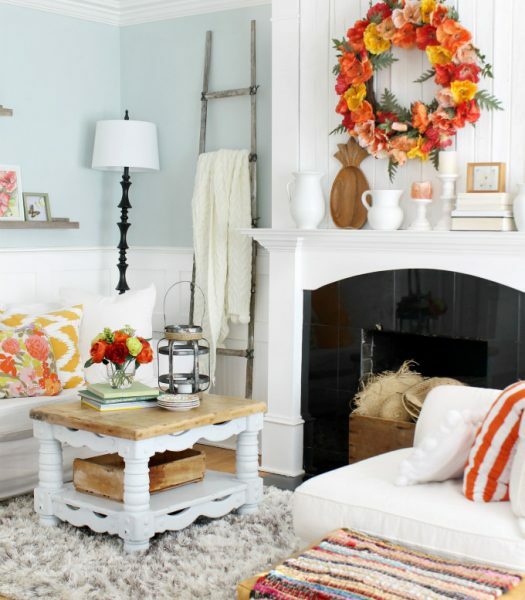 Refresh your home décor along with the changing seasons and have a beautiful home all year round. 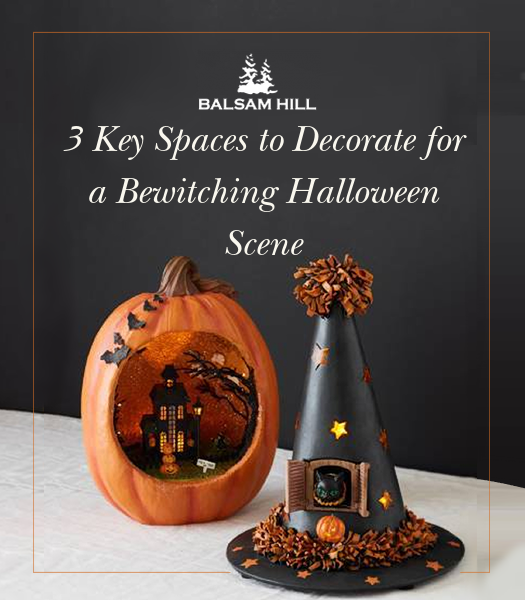 For more decorating ideas, visit us at Balsam Hill.